Festival showcases a regional array of tomorrow's dancers at the Byham. Pennsylvania Regional Ballet visits the Regional Dance America Northeast Festival. They are the next wave of talented dancers, some of whom in the near future will be lighting up stages in professional dance companies, on Broadway and elsewhere. They are the 500 student dancers at this year's Regional Dance America Northeast Festival, titled The Pointe Is Dance, May 19-21 at the Byham Theater. For more than 50 years, Regional Dance America has been synonymous in the dance world with quality and exacting standards. The organization has been a catalyst for the growth of regional dance. Several of its early member companies, including Boston Ballet and Pennsylvania Ballet, have joined the ranks of the nation's leading dance organizations. For the second year running, RDA's annual Northeast Festival will be held in Pittsburgh. 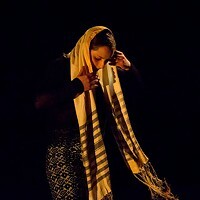 This year, the festival combines the Northeast and MidStates regions (New Hampshire to Wisconsin) and their 20 member companies, along with three guest companies, into one large festival. While Pittsburgh currently has no RDA member companies, the festival is returning primarily because Pittsburgh is conveniently located for companies in both regions. 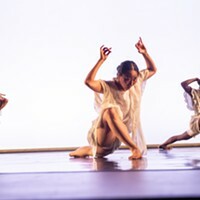 During the three-day festival, dancers ages 11 and up will vie for scholarships and participate in lots of master classes held at Point Park University. 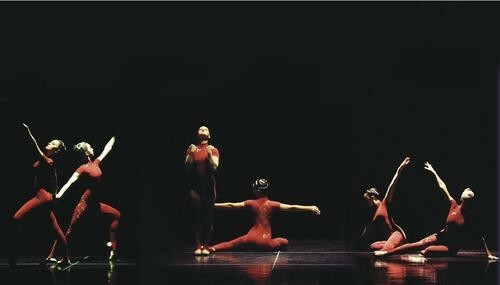 The classes in ballet, jazz, character and modern dance are taught by an all-star faculty including Gil Boggs, artistic director of Colorado Ballet; Pennsylvania Ballet principal dancer Riolama Lorenzo; jazz-dance innovator Joe Istre; and former Pittsburgh Ballet Theatre artistic director Patricia Wilde. "The festival is a chance for students and their company directors to see what their peers are doing in the classroom and in performance," says Kathryn Aumiller, Pennsylvania Regional Ballet executive director and the festival coordinator. Some of those peers will compete for jobs in the future. However, for both festival participants and local dance fans, the main attraction will be the nightly showcases. Member companies will perform in a bevy of diverse works from both up-and-coming and professional choreographers that should satiate even the most die-hard dance junkies. Often, the works are better than some staged by professional troupes. "The public will see the cream of the crop of pre-professional dancers," says Aumiller.